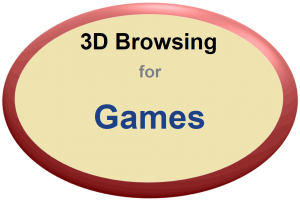 3D Browsing is not only like a 3D Game, it includes 3D Games! 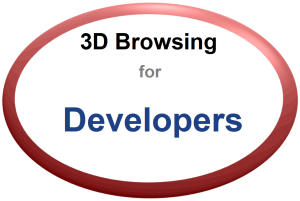 3D Browsing is built on a 3D Gaming engine. Therefore, it takes on all of the qualities of a 3D Game; Avatar movement, camera views, general animation, and 3D Scene Rendering functionality. But that is just where we begin! We have blurred the lines between virtual reality, real businesses and organizations, artwork, platforms, and playing 3D Games. 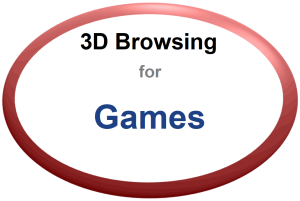 3D Games load as you walk and unload as you walk away, just like the core patented concept for our 3D Browsing! Imagine walking down a street, entering a bowling alley, and playing a game. Then walking out and hopping in a car to drive away! We load 3D Games as you walk towards them and unload as you Walk away. 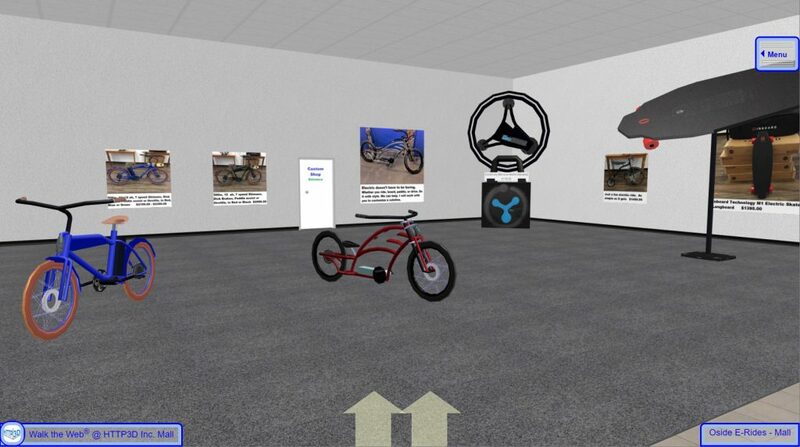 Walk the Web® 3D CMS makes it possible. Our first 3D Game is a Scavenger Hunt. See if you can find all of the items on the list! It is one way to make sure you have seen everything there is to see on any given 3D Website. More 3D Games coming soon! Oside E-Rides - Electric Bikes and more! Create your own 3D Game Portfolio for 3D Browsing. 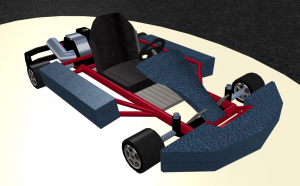 Show off your graphics, textures, designs, animations, and new 3D Game creations. 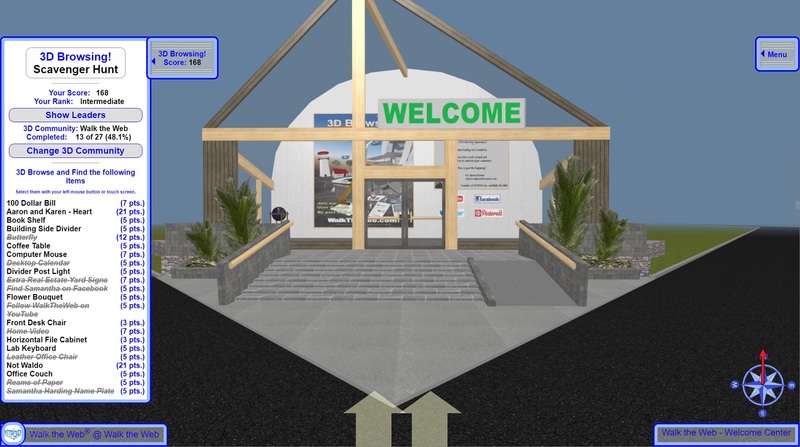 Attract new business and show that you are ready for the latest in 3D Technology!